Seafood products are perishable items that must be kept frozen and refrigerated prior to their consumption. In order to guarantee product safety and quality, we only ship within the United States and use FedEx Overnight service for express delivery. Our regular shipment dates are Monday-Thursday and we try avoid shipments on Friday to avoid weekend deliveries when customers are frequently away and may not be able to pickup their package in a timely manner. For greater savings on shipping, lower product prices, and to minimize thawing of frozen items during transport, we strongly encourage orders of over 5 lbs. Orders of non-perishable items are typically shipped using U.S. Postal Service Priority flat-rate boxes, which are often the least expensive way to ship from Alaska. There is a standard shipping fee of $15 on gift orders. We participate in FedEx money-back guarantee program, which provides reimbursement of FedEx charges if the package is delivered after the published delivery commitment time, subject to certain exceptions. If this happens to your order, please contact us to initiate a claim and we will refund the shipping fee after it is processed by FedEx. We ship our perishable products frozen and packaged in insulated Styrofoam boxes insulated with gel pack(s) for added temperature control to maintain safe internal product temperature during transit. We are not liable for orders that have not been retrieved in a timely manner. We will refund purchases that have been delivered late by FedEx and the seafood order has been completely thawed. 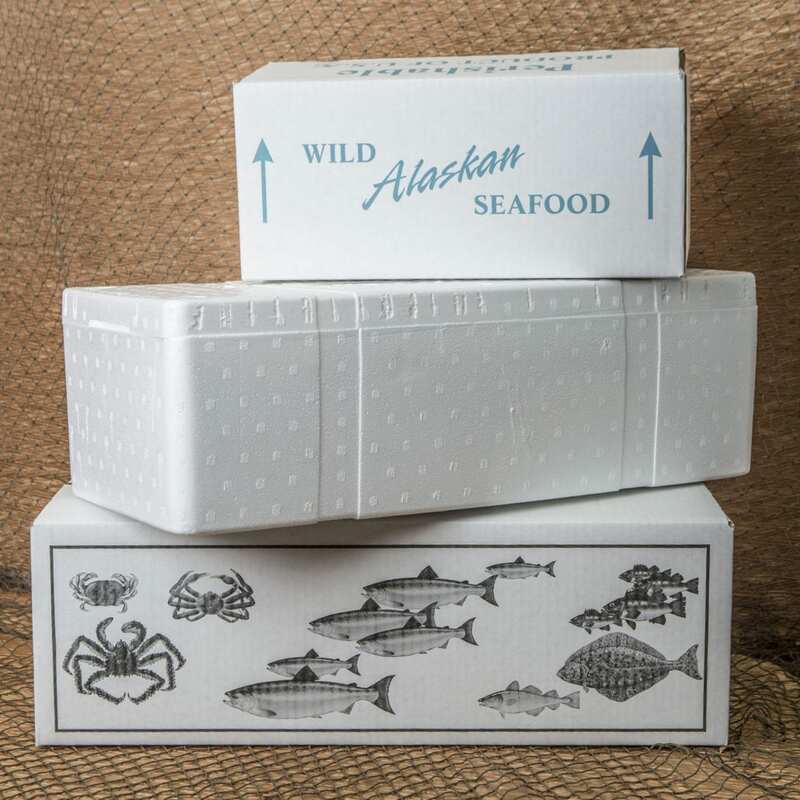 If your package arrives after the delivery commitment time, but the seafood items remain cold to the touch, they should be safe to eat. You can refreeze them for longer storage or refrigerate for immediate consumption. Please contact us if you have any concerns after opening the package about the condition of seafood items. Our meats have been fully cooked and are safe to eat if kept unopened in their original packaging at refrigerated temperatures for several weeks. If you are not completely satisfied with your purchase, contact us to request the refund within 30 days of your purchase date. We can only refund purchases of non-food items that are in their original condition and show no signs of use.